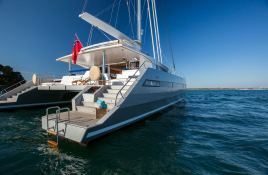 Windquest is a magnificent 26 Metre catamaran allowing to accomodate up to 8 passengers. 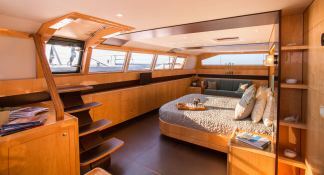 She has an owner's cabin on the main deck with sublime panoramic views & access to the terrace. Also a sitting area with sofa, chairs and a desk with work station as well as 3 double cabins. 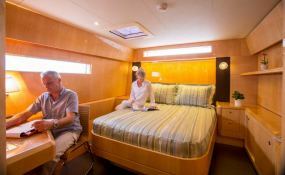 Each cabin has a private en-suite bathroom with power shower. One of the guest booths can be converted into an office. 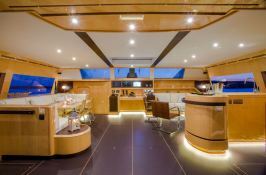 The quarters of the crew and the galley are separated from the guest areas. 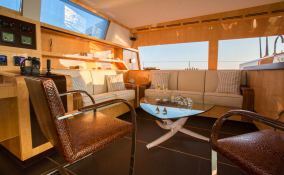 Windquest will also benefit from its large living room space with dining area for up to 12 people, with a bar and sofas and a shaded rear deck for 10 passengers. 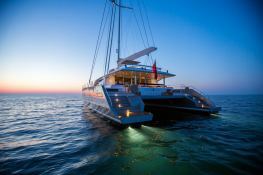 Available for charter during the summer period in France and Italy, and Caribbean in teh Winter. 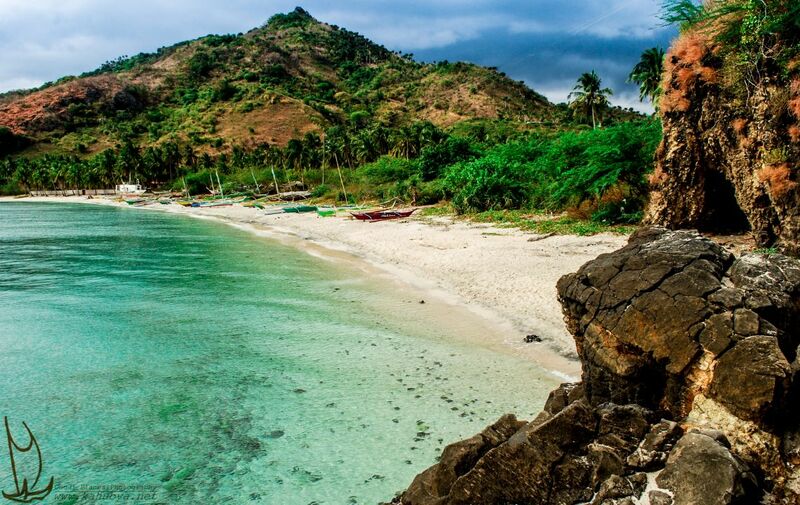 The Charter of this luxury catamaran will allow you to sail the winter in the Caribbean Sea in the British Virgin Islands, Saint Martin, the Lesser Antilles, Saint Lucia or the Tobago Cayes. During the summer this boat in the Mediterranean will allow you to cross on the Riviera, Sardinia or all the Italian west coast of Tuscany to the Gulf of Naples. 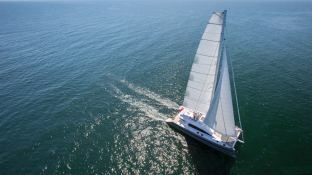 This Windquest is available for yacht charter with a base price of 75 000 $ (approximatly 66 504 €).